Anterio-dorsal view of adult female. Subadult measuring ~ 3 mm SL. 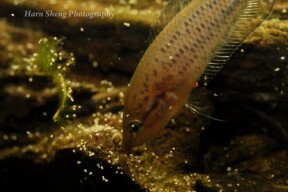 Malpulutta: apparently derived from a vernacular name for the fish. 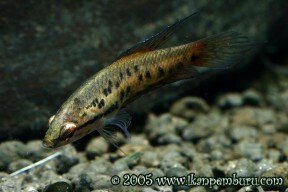 kretseri: named in honour of “De Kretser”, a Sri Lankan lawyer who discovered the species. Type locality is ‘Dandegamuva, Northwest Province, Sri Lanka’, which does not appear on modern maps, although two other localities referred to in the description, namely ‘Kikavaratiya’ and ‘Hettipola’ may correspond to modern-day Nikaweratiya, Northwest Province, and Hettipola, Central Province, respectively. If it did once occur further north, it now appears restricted to Sri Lanka’s ‘wet zone’, where it has been recorded from the Gin, Kelani, Kalu, Nilwala, and Bentota river basins. Although it’s far from widespread reports that it’s now restricted to the to the Kottawa Forest Reserve, a small, isolated patch of forest in the island’s Southern Province, appear to be inaccurate. The ‘wet zone’ of southwestern Sri Lanka is an area receiving annual rainfall of 2000-3000 mm, much of which arrives during the South-West monsoons between March and August. It is a tropical environment with no significant dry spells or climatic changes, and air temperature is fairly constant throughout the year, ranging from 25 – 27 °C. Such conditions favour development of lowland tropical rainforest at altitudes below 1000 m AMSL. In Sri Lanka these forests are found only in the wet zone, with the moist, warm climate and long period of geographic isolation having led to exceptional localised biodiversity in terms of endemic flora and fauna. The vast majority has been cleared for plantation agriculture, however, much of it when the country was under British colonial rule. A significant portion was also removed during the recent civil war, with more than 35% of the original cover lost between 1990 and 2005. As of 2006 only 4.6% of the old forest was left with the remainder existing only in small, highly-fragmented patches, most covering areas less than 10 km², of which some are now officially-protected reserves. Kottawa Forest is one of these and comprises just 15-20 hectares of wet, evergreen jungle, though the combined Kottawa-Kombala forest covers around 1600 ha. A number of minor, pristine streams containing clear or slightly-stained, shallow water traverse the reserve and these represent typical habitats of M. kretseri across its range. Little sun is able to penetrate the forest floor so aquatic habitats are shaded and water temperature may be relatively cool, while conductivity and hardness are generally low and pH slightly acidic. Macrophytes are uncommon though there may be dense, marginal vegetation, sometimes overhanging the full width of the stream, the roots of which may penetrate the banks underwater. Typical substrates are sandy but covered by a layer of leaf litter with fallen twigs and branches. 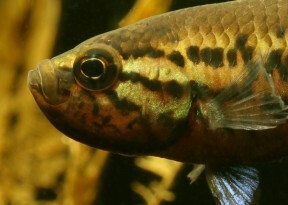 Sympatric fish species include Rasboroides vaterifloris, Puntius bimaculatus, P. kelumi, P. titteya, Pethia nigrofasciatus, Dawkinsia singhala, Schistura notostigma, Mystus vittatus, Aplocheilus werneri, Channa orientalis, and Mastacembelus armatus. 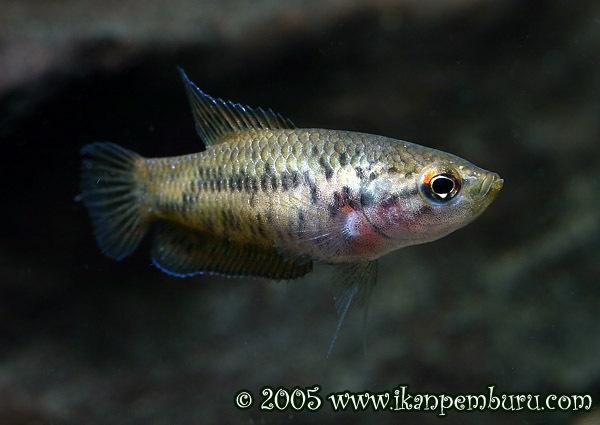 A single pair require an aquarium with base dimensions of at least 40 ∗ 20 cm or equivalent. This species prefers fairly dim lighting so the use of surface vegetation, floating or otherwise, is also useful. As it naturally inhabits sluggish waters filtration should not be too strong, with an air-powered sponge unit adequate. Keep the aquarium well-covered and do not fill it to the top as it requires occasional access to the layer of humid air that will form above the water surface. Best maintained in the absence of other fishes since captive breeding should be the priority given its conservation status and rarity in the aquarium hobby. Though never aggressive, certain aspects of temperament vary between individuals, with some significantly more timid than others. 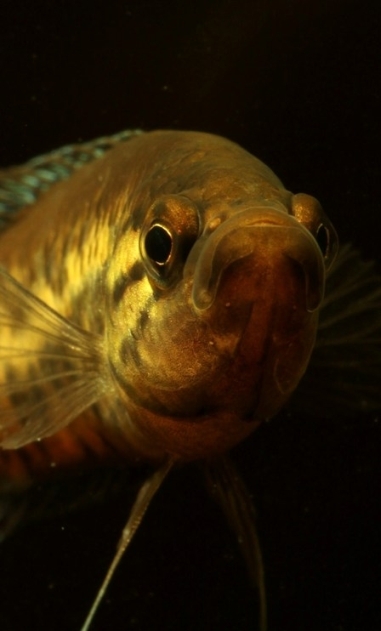 In the latter case even the addition of dither fishes is reported to have little effect. 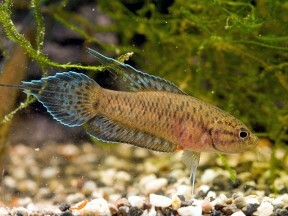 Males are larger and more colourful than females, and develop extensions to the pelvic and unpaired fins. Secretive bubble nester, with males preferring to contruct nests under an overhang or in a cavity if available though if not surface vegetation, leaves or roots may be chosen. In the aquarium half-coconut shells, upturned flowerpots or clay pipes provide ideal artificial spawning sites. Eggs and milt are released in small batches during a series of embraces in which the male wraps its body around that of the female in a distinctive ‘u’ shape. 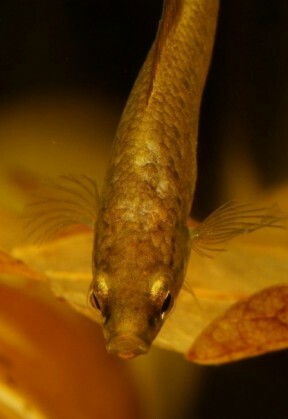 Two types of embrace have been observed, with the eggs either remaining in the curve of the male’s body or rolling down it towards the caudal-fin, but either way the female collects them and transports them to the nest while the male recovers, sometimes including a trip to the surface to gulp air. Post-spawning the female is ejected and the male is responsible for guarding and tending the eggs, which hatch in approximately 48-60 hours. The fry require microscopic food for 3-5 days, after which they are able to accept Artemia nauplii, microworm, etc. 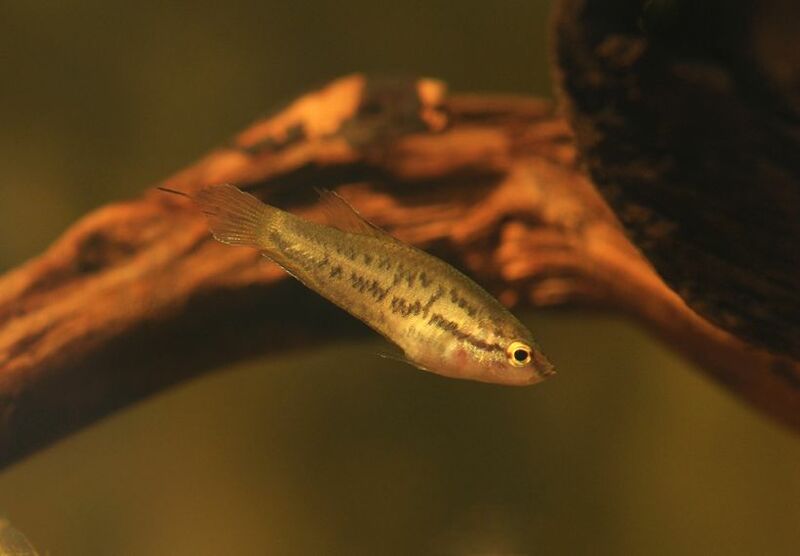 Once the fry are swimming freely they may be consumed by other fish in the aquarium, including their parents, so are best separated and grown on elsewhere. 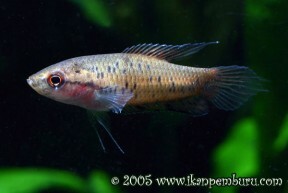 This species is also referred to as ‘Kretser’s paradisefish’ and ‘spotted gourami’. There exist three colour forms, two of which exhibit a greater degree of reddish or violet pigmentation in the fins, respectively. The third is more bluish and was described as M. kretseri minor Deraniyagala 1958. 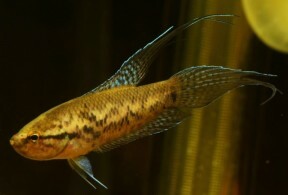 Despite the nomenclature indicating a subspecies it was considered only a ‘race’ by the author, therefore under modern ICZN rules the name is unavailable due to being an infrasubspecific taxon, and all populations are considered to represent M. kretseri. 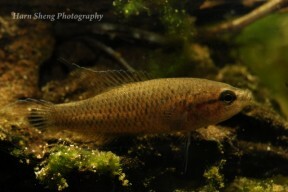 The genus is thus monotypic and M. kretseri protected by law in Sri Lanka, although it does still appear in the aquarium trade from time-to-time. The results of phylogenetic analyses by Rüber et al. (2006) suggest that Malpulutta is most closely-related to Pseudosphromenus in an evolutionary sense. 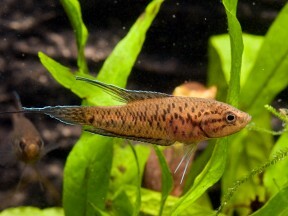 Both are sometimes included in the putative subfamily Macropodusinae alongside Macropodus, Parosphromenus, Betta and Trichopsis. 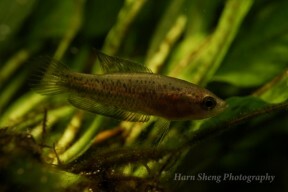 Like others in the suborder Anabantoidei this species possesses an accessory breathing organ known as the labyrinth, which permits the fish to breathe atmospheric air to a certain extent. Comprising paired suprabranchial organs formed via expansion of the epibranchial (upper) section of the first gill arch and housed in a chamber above the gills, it contains many highly-vascularised, folded flaps of skin which function as a large respiratory surface. 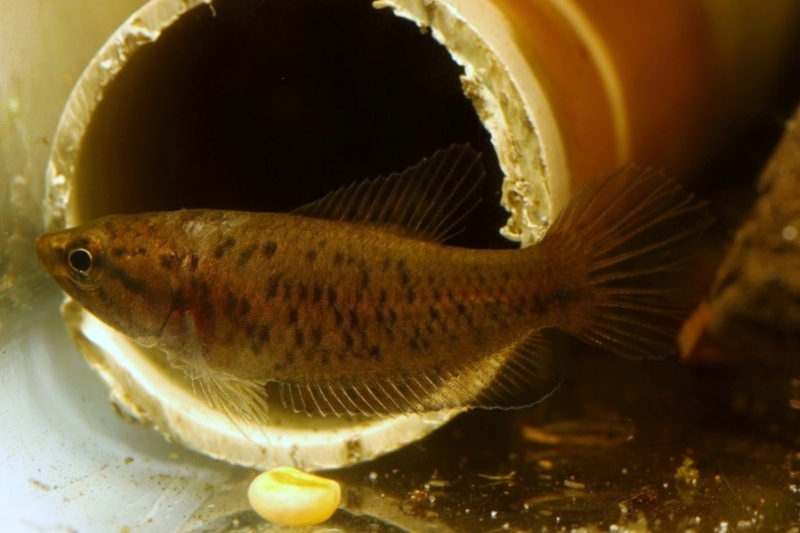 Its structure varies in complexity between species, tending to be more developed in those inhabiting harsher environments. 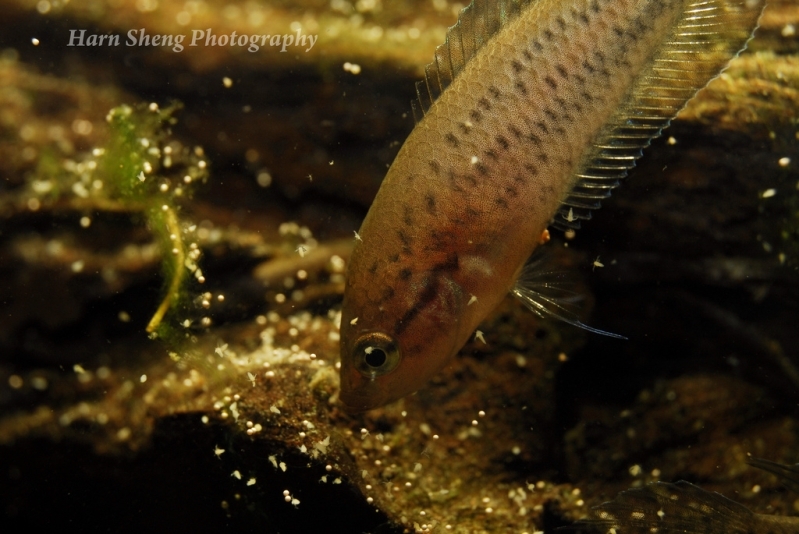 While some labyrinth fishes can be observed taking regular gulps of air from the surface others, including M. kretseri, do so less often. Malpulutta kretseri - a new genus and species of fish from Ceylon. Fish Assemblage Structure of Two Contrasting Stream Catchments of the Mahaweli River Basin in Sri Lanka: Hallmarks of Human Exploitation and Implications for Conservation. Described from ‘Dandegamuva, Northwest Province, Sri Lanka’ – could this refer to Dandugama,North of Columbo, West Sri Lanka?